Lois L. (Christian) Cantor, 93, of Cambridge passed away Saturday (March 16, 2019) at Altercare in Cambridge. She was born October 6, 1925 in Senecaville and was the daughter of the late Willard and Mildren (Aplin) Christian. Lois was a 1943 graduate of Senecaville High School. She had previously worked for Dr. McCusky as a nurse assistant. She retired in 1988 from the former Guernsey Memorial Hospital after several years of service in the business office. She was a member of Senecaville First Presbyterian Church, Secrest Senior Center, and the Rebekah Lodge. 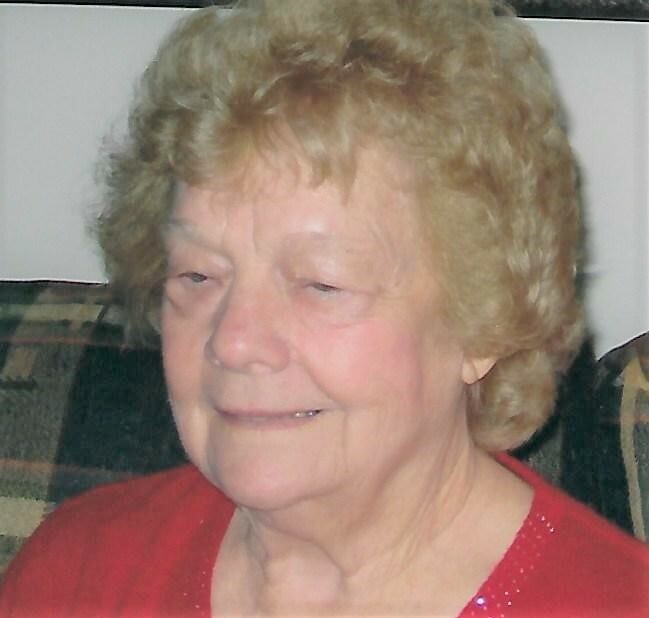 Lois enjoyed watching the Ohio State Buckeyes, playing bingo, bridge, going to Wheeling Downs and spending time with her family, she will always be remembered as a loyal patriot of the United States. In addition to her parents she was preceded in death by her husband James T. Cantor whom she married January 17, 1945 and passed away in 2006; two sons, Edward Thomas Cantor and Richard Alan Cantor; two grandsons Jimmy and Richard Cantor; one granddaughter Rochelle; five brothers, Donald, Richard, Robert, Herbert, and Dean; one sister Phyllis Denver. She is survived by one son Jimmy (Darlene) Cantor of Caldwell; one daughter Cyndi (Gary) Oliver of Cambridge; five grandchildren, Jennifer Andria, Julie Fondale, Missy Waggoner, Shelly Schott, and Cathy Shaffer; eleven great grandchildren; several nieces and nephews. Calling hours will be Thursday from 1:00 to 3:00 p.m. at Black-Epperson Funeral Home, Senecaville where services will follow at 3:00 p.m. Burial will follow in Senecaville Cemetery. Memorial donations may be made to Senecaville First Presbyterian Church, 158 High St., Senecaville, Ohio 43780 or Hospice of Guernsey, P.O. Box 1165, Cambridge, Ohio 43725.